I am a huge fan of well-produced annotated books. For example, Martin Gardiner's annotated versions of Lewis Carroll classics such as Alice's Adventures in Wonderland are superb - a highly readable contextual introduction, followed by pages festooned with delightful points that bring out the context of a reference or simply provide an entertaining and relevant tidbit of information. This being the case, I was really looking forward to this annotated version of Frankenstein, expecting a similar wonderful elucidation. And to be honest, Mary Shelley's book (conceived when she was still Mary Godwin) needs all the help it can get. Apparently the original book is well under 80,000 words long, making it a relatively short novel, but it seems far longer. 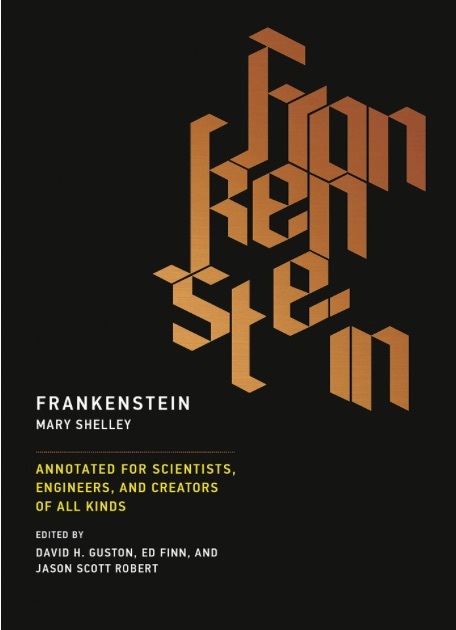 There is no doubt that Frankenstein has been hugely influential, not just in the direct movies and spinoffs but in its influence on the development of science fiction - but oh, it's hard work to read, with endless wordy monologues between small fragments of action. So I came to the annotated version full of excitement, but was to be sadly let down. Although explicitly labelled as being for scientists, engineers and the like, the annotation largely takes the form of lit crit interpretation in dull, academic swathes of text. There are plenty of opportunities for helping the reader with context which are missed, in favour of endless meandering on what words like 'sympathy' mean, or belabouring the reader with interpretations of the character's state of mind, or the author's intentions. It's like being dragged back kicking and screaming to a school English lesson. At the end of the book proper, we get a number of essays, mostly in the same style, though one by Cory Doctorow shines out as being readable and interesting. It's got a pretty cover and is a worthy concept - but those involved in this project seem to have missed the point of a great annotated book. Where are the chemistry popular science books?